Bahrain’s foreign minister accused Qatar on Monday of creating a military escalation in a dispute with regional powers, in an apparent reference to Doha’s decision to let more Turkish troops enter its territory. Bahrain, alongside Saudi Arabia, the UAE and Egypt imposed a boycott on Qatar three weeks ago, accusing it of backing militants – then issued an ultimatum, including demands that Qatar shut down a Turkish military base in Doha. 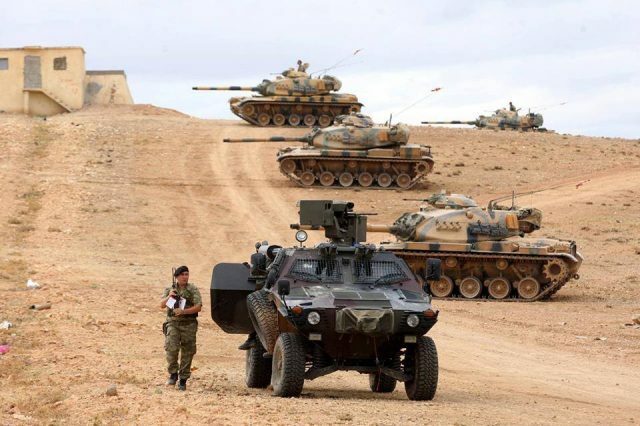 Turkey, the most powerful regional player to stand with Qatar, has increased the number of its troops in the base since the crisis erupted. “The foundation of the dispute with Qatar is diplomatic and security-oriented, never military,” Bahrain’s foreign minister, Sheikh Khalid bin Ahmed al-Khalifa, said in a message on Twitter. “Bringing in foreign armies and their armored vehicles is the military escalation that Qatar has created,” he added, without mentioning Turkey. In earlier tweets on Sunday, Sheikh Khalid said external interference would not solve the problem. The four Arab powers’ ultimatum, which also includes demands for the closure of Al Jazeera television and the curbing of ties with Iran, appears aimed at dismantling Qatar’s two-decade-old interventionist foreign policy. That policy has reflected the clout generated by its vast natural gas and oil wealth but incensed conservative Arab peers over its alleged support for Islamists they regard as mortal threats to their dynastic rule. Qatar rejects accusations of fomenting regional unrest. Two contingents of Turkish troops with columns of armored vehicles have arrived in Doha since the crisis erupted, along with 100 cargo planes loaded with supplies. Turkey also rushed through legislation to send more troops to the base days after the sanctions were imposed in a show of support. On Sunday, Turkey’s President Tayyip Erdogan dismissed the ultimatum as unlawful interference in Qatar’s affairs. Previous article5 techniques to change your life!